Invite New People to experience The Shaklee Effect™. 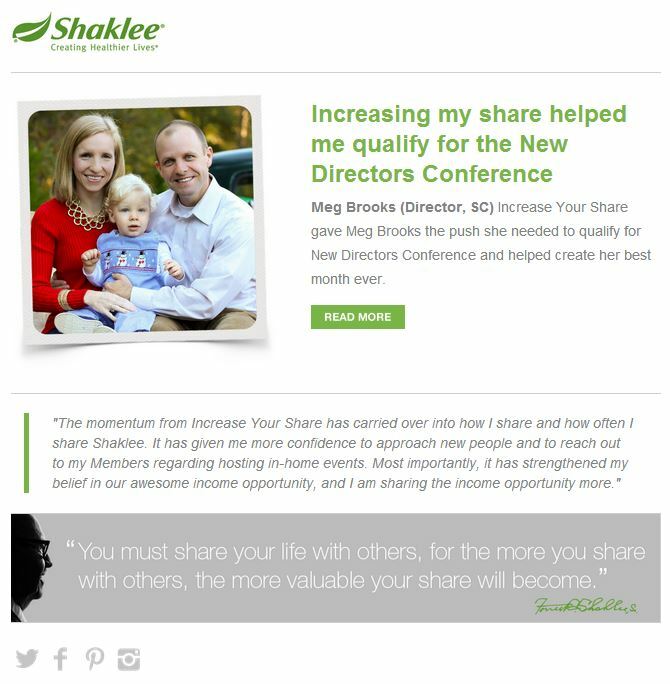 Invite New People to learn about the Shaklee Difference™. Invite New People to learn about market trends in our country that make now the best time to join Shaklee. Invite New People to catch the passion for Shaklee products. Invite New People to meet our Shaklee Corporate Leadership Team – Dan Rajczak, Dr. Bruce Daggy, Dr. Jamie McManus, Justin Rose, Jennifer Steeves-Kiss, Jon Fieldman and Elena Panos. Invite New people to meet members of the Shaklee Pure Performance Team. Previous Previous post: Saluting Shaklee’s Athletes!